How English words sneak into German to become "Denglish"
Jens has noticed that when he hears people speaking English, lots of the words seem similar. He did a little reading to try to figure out why. It turns out that German and English are both considered Germanic languages, so they have a lot in common. That’s great news for Jens because he just met a nice English-speaking lady on the train. What do you think? Does Jens stand a chance? If he strings together the right words, anything is possible, but he’s probably wishing he had paid more attention in his English class. Hell. The pit of fire and brimstone. Here’s a life lesson from Jens: If someone in Germany offers you a gift…run! This situation would also be a great time to know the German words for police and help! Hey look! Those words sounds like their English equivalents too! 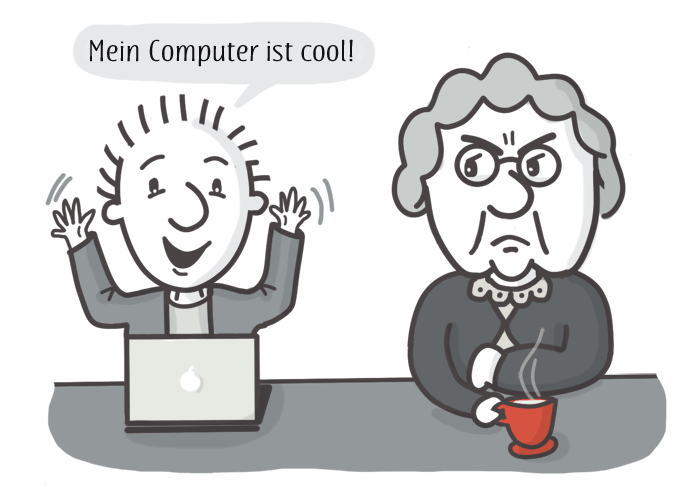 Jens is a younger German, and his grandmother can’t stand some of his slang. Every generation has its own slang words, but to the surprise of Jens’s grandmother, Jens is starting to adopt English slang! (Gasp!) This is something happening all around Germany. 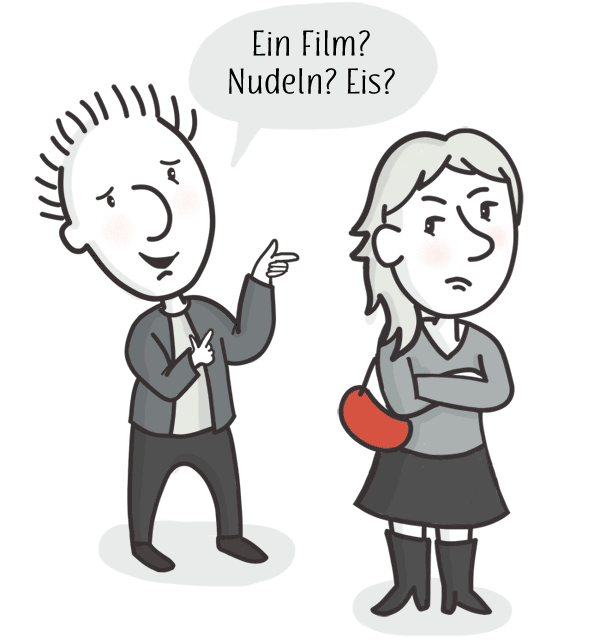 This type of slang is called “Denglisch” because of the way it uses (or misuses) English words, phrases, and sentence structures instead of the more traditional German words. However, many Denglisch words are tricky because they don’t mean what you think they would. tuxedo — probably shortened at some point from "smoking jacket"
So the good news is that as you learn German, a good chunk of the language will look familiar. Just be careful to check your word meanings to avoid a Katastrophe.